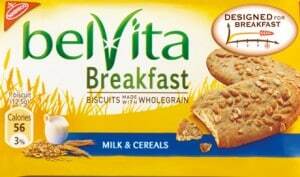 Click here to visit the belVita site and fill out the form. Then tell them what you did (or would do) when you ate belVita breakfast biscuits. Everyday through April 2nd they’ll be giving away 100 coupons redeemable for one free 8.8 oz. box of belVita for a grand total of 9,000 winners. 1 winner a day will also score a $100 cash card. You can play everyday. Good luck!